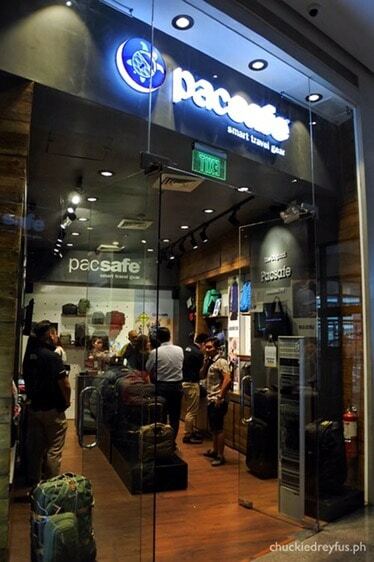 Pacsafe opens its first flaship store at Glorietta 5 - All Chucked Up! Behind the success of the Pacsafe brand are Australian founders Rob Schipper (CEO) and Magnus McGlashan (President, Sales & Marketing) who happen to be travelers themselves. Pacsafe has quickly become a top travel gear brand and a name synonymous to smart and safe travel. 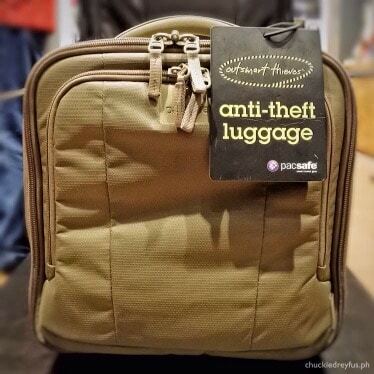 As the pioneer of the travel security category since 1998, Pacsafe has successfully trotted all over the globe, delivering on its brand promise as the world’s most secure anti-theft travel gear. With security comes peace of mind… something that is very important especially during travel, wouldn’t you agree? 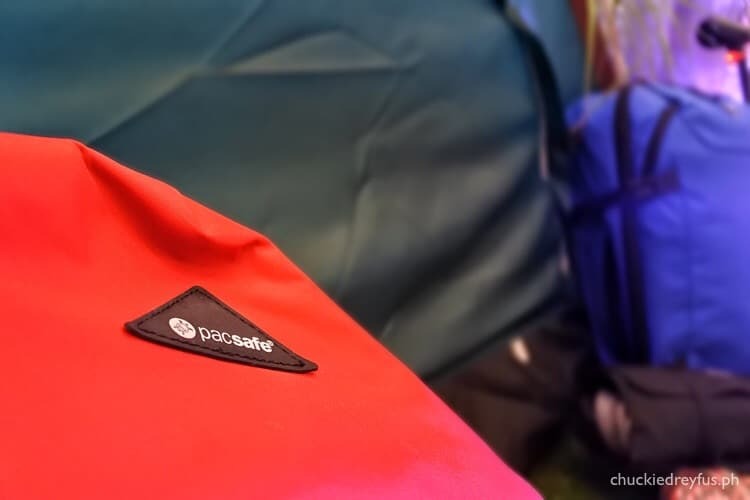 Apart from that, Pacsafe bags come in a variety of wonderful designs and sizes allowing you to use them everyday and fit any kind of lifestyle. 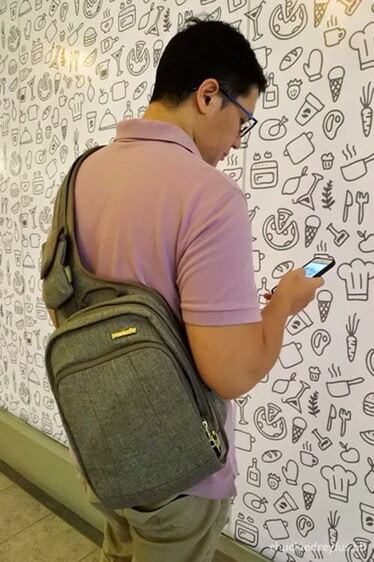 Pickpockets, snatchers, bag (and strap) slashers, and even identity thieves are no match to the workmanship and technology put into each Pacsafe bag. No exaggeration, folks. I’ve long been a long time fan of this brand. In fact, I used to have a Pacsafe wallet which I’ve used for a good number of years on many domestic and international travels until wear and tear eventually got the best of it. 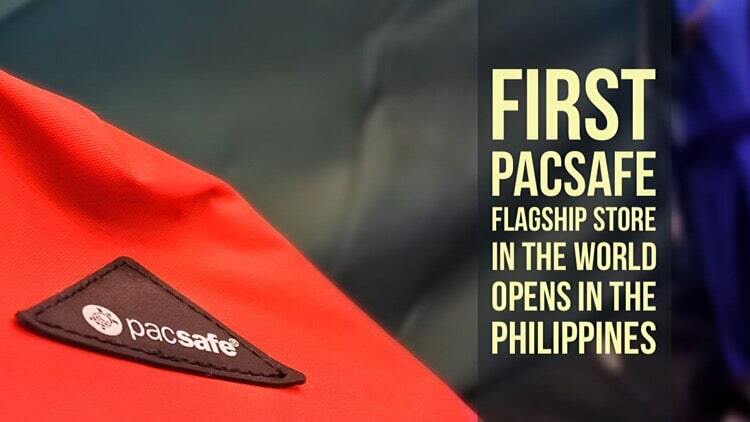 Pacsafe’s renowned reputation as a highly reputable reliable travel gear brand made it a top choice among Filipinos. 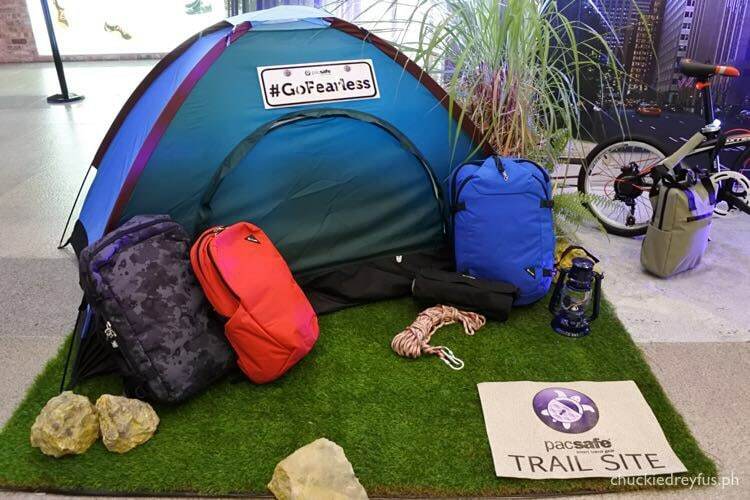 So much so that this growing demand made the Philippines the top bag seller of Pacsafe travel essentials among other retailer-locations around the world. 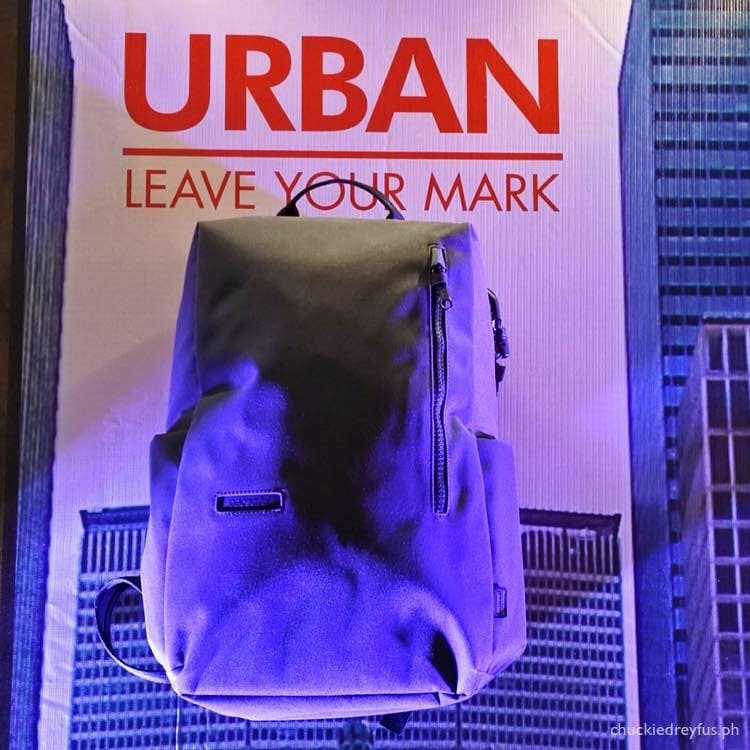 Moved by this overwhelming patronage, this trusted brand has finally decided to open its first flagship store at Glorietta 5 in Makati City. Yes, folks… its first flagship store IN THE WORLD. 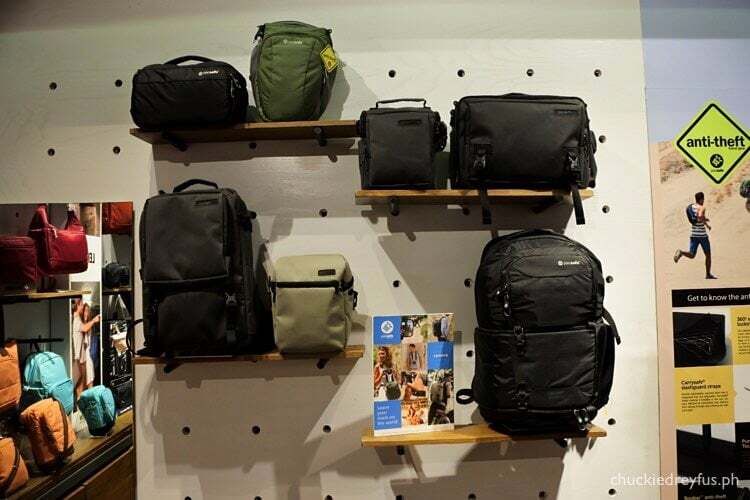 The opening of this flagship store will increase the availability of the company’s range of products which include adventure backpacks, urban & leisure bags, women’s bags, photography bags, luggage & travel accessories such as straps, cables & locks, all specifically designed to ward off pickpockets and bag slashers. Yay! 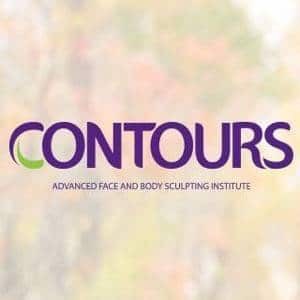 More products to choose from! 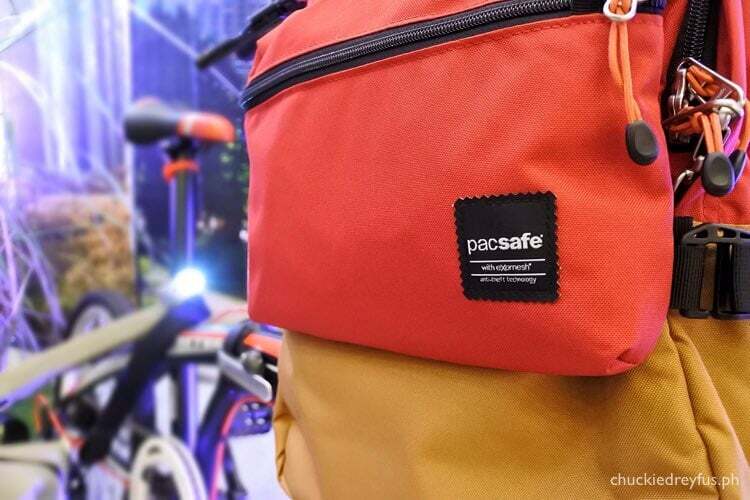 And because of this, Filipinos can now confidently look forward to safer and worry-free trips with Pacsafe smart travel gear made accessible in one convenient location. 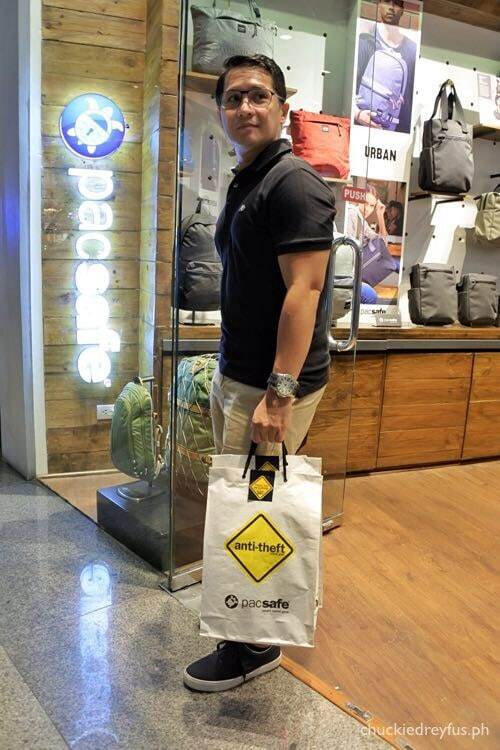 I was there when Pacsafe launched their flagship store at Glorietta 5. 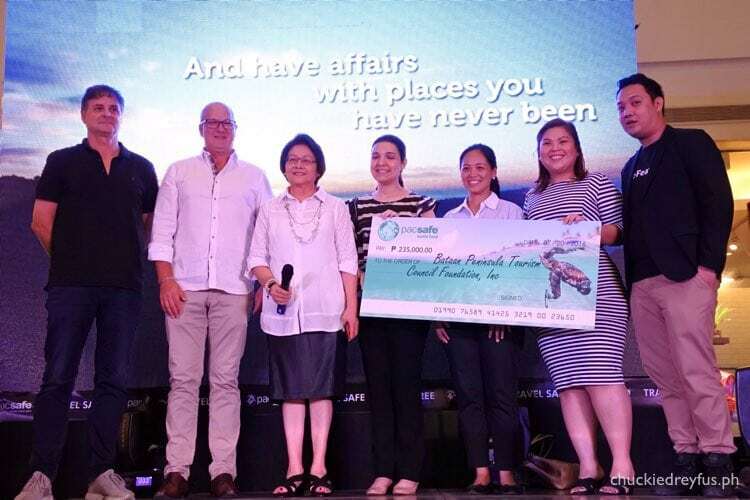 During the festivities and celebration, as a way of giving back to the inspiration of Pacsafe — the sea turtle — Pacsafe donated a considerable amount to the wonderful people of the Bataan Peninsula Tourism Council Foundation, Inc. (who happen to be very good friends of mine as well). 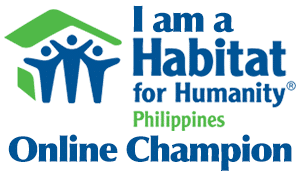 The aid is for the preservation of the Pawikan Conservation Center in Morong, Bataan — to help protect and propagate safe and healthy oceans, coastlines and other environments that support marine life and endangered sea turtles worldwide. Fun Fact: Pacsafe uses the sea turtle as its logo because it best symbolizes the intrepid global traveler. Just like a backpacker who brings all of his valuables and basic necessities with him during travel, a turtle sets out to sea for long periods of time with the shell on its back which is essentially its home. 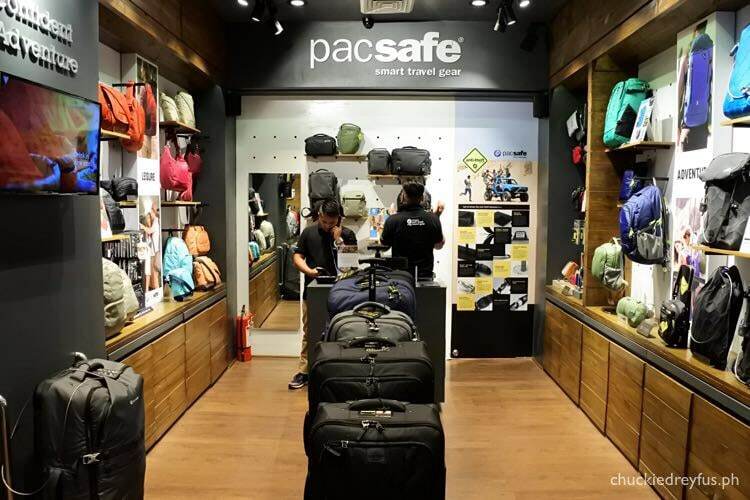 As a frequent traveler myself, I am absolutely excited and delighted to know that a Pacsafe store has finally landed in the Philippines. Congratulations, Pacsafe! I look forward to visiting your outlet again… and again. Disclaimer: Only selected models in the website are currently available in the Philippines. Visit the official Pacsafe website here.